Kohashi-Overwater-Verploegen trio is a collective jazzgroup that creates a unique sound, all three standing on an equal footing. Kohashi from Japan, Overwater and Verploegen from the Netherlands, seek and discover their own soundsharing their passion for music, beyond ethnicity and nationality. 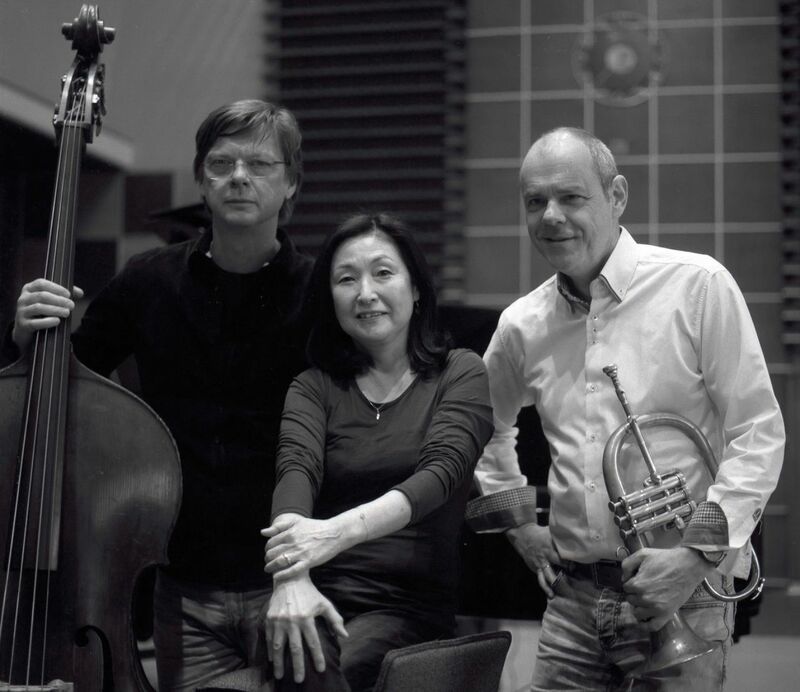 Japanese pianist Atzko Kohashi had something special in mind when she invited Dutch bassplayer Tony Overwater to join her for a musical encounter. She longed to create a unique unit of bass-harmony and melody, with each voice being equal and contributing selflessly to the music. Her vision is connected to Japanese Zen aesthetics that generates simplicity and spontaneity. With trumpetplayer Angelo Verploegen they found their match-a soloist who can blendin, shine and support the music at the same time. On a cold winterday they met in an empty church in Amsterdam and started playing. For hours. Instantly the delicate sound of these three instruments blended into gentle and generous music that warmed their hearts. A few months later they recorded their debut album Virgoin the only way possible for such collaboration: a beautiful radiostudio from the 1930’s, with a great sounding Steinway, only a few microphones but of the utmost quality, and recorded directly to a two track analogue taperecorder before a live audience. — The three instruments blended in to one sound, telling a story together.